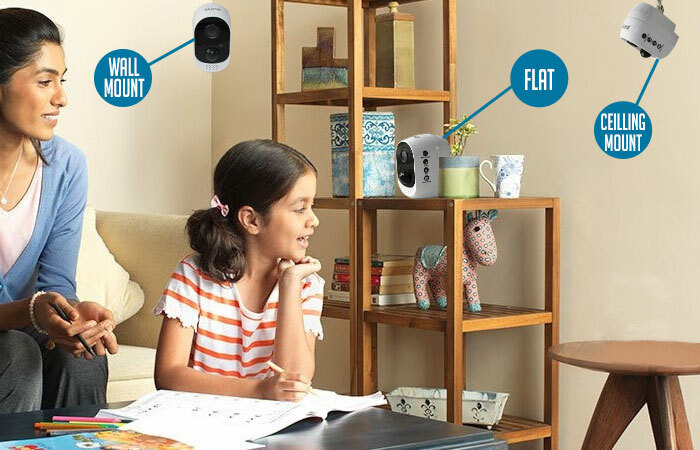 When it’s not enough to just see what is going on, this WIFI camera allows you to be there with built-in microphone and speaker. 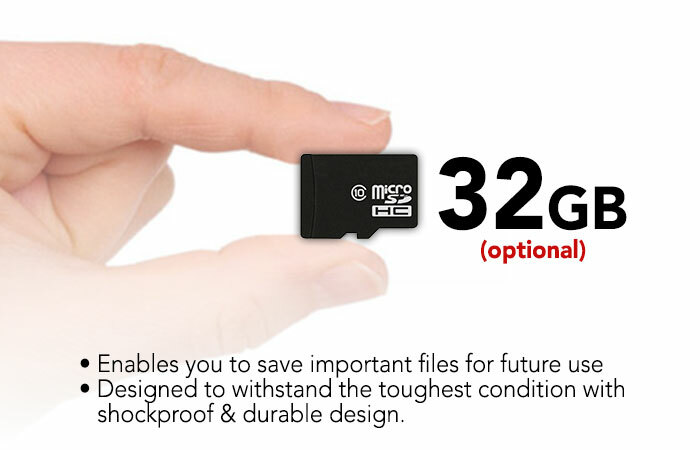 Long battery life and standby mode up to 365 days. It will only record the video when there is motion detected. 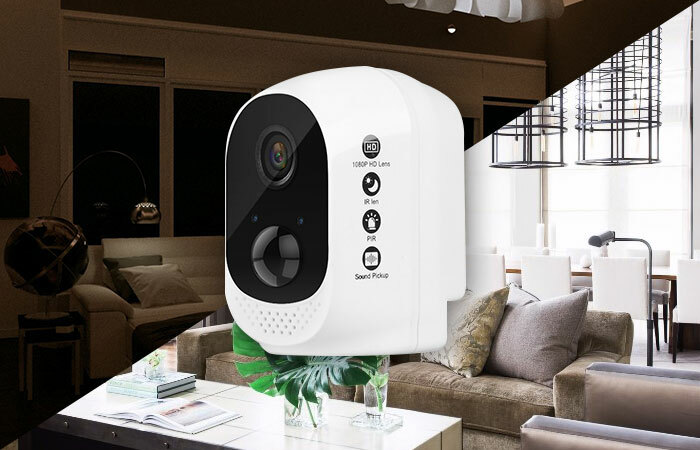 No need for a base station, this WIFI camera can work with 2.4Ghz WIFI router directly without additional devices just place the camera where you need and receive notifications on phone when it is triggered. 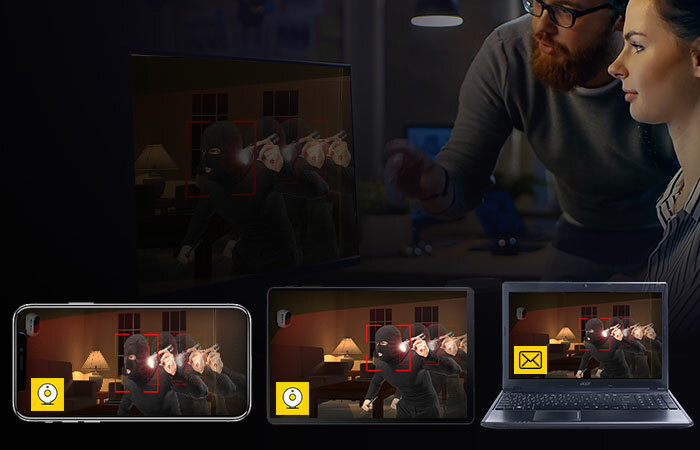 Human motion will trigger PIR sensor to send alert to phone app and record to SD card or Cloud Storage, playback videos from phone app wherever you are. Immediately know when motion is detected at your home or office and watch live. Effectively avoid false alarms comparing to traditional motion detection. You can install this wire-free security camera outdoors/indoors, and offers no limited placement, such as front door, backyard, garage security and more. Built with Sony CMOS imaging sensor and 6 IR LEDS it can see up to 36ft night vision. Do not miss any details day and night. 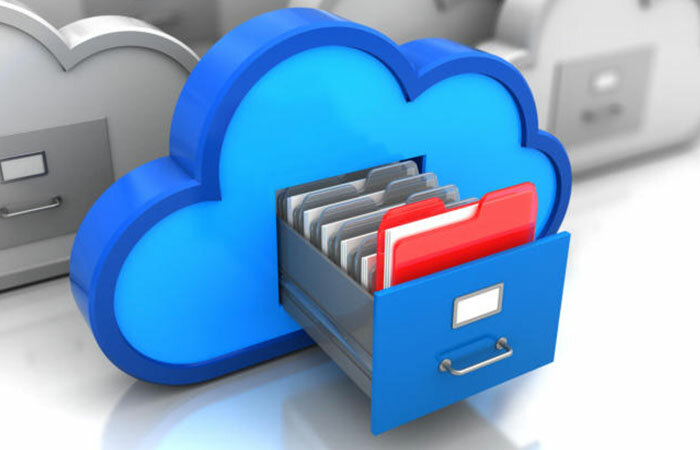 Optional Cloud storage, you can save your recordings on cloud via app or save recordings locally via MicroSD Card up to 64GB. 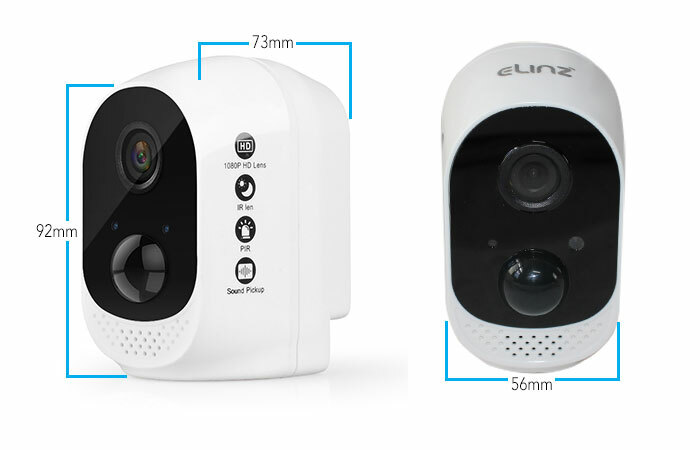 With 1920*1080 resolution the surveillance camera captures sharp and bright videos. 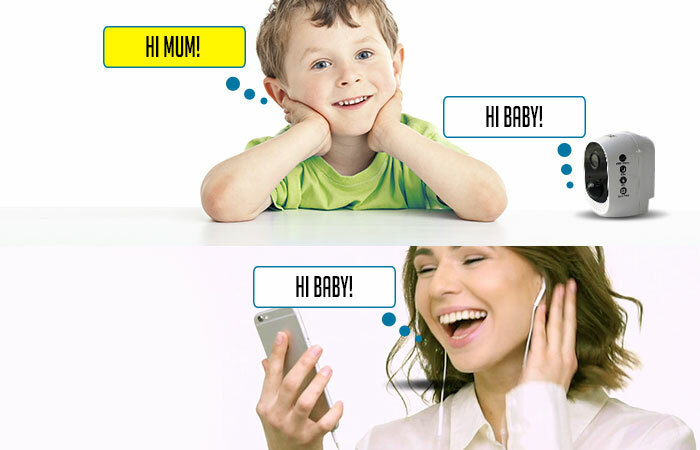 This IP camera supports use of Microshare app that supports remote viewing for you and your family. One main user and can share up to 4 visitors. App Works on both iOS and Android devices. You may playback the videos via Microshare app freely whenever and wherever you are. Safety and security is always one of our top priorities not just at home but also on offices or anywhere we want to keep an eye on our loved ones or belongings. With this NEW wire-free IP security surveillance camera, it is now possible. 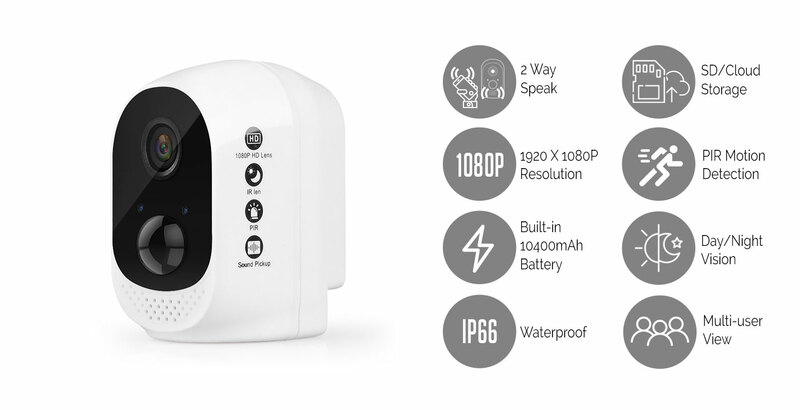 This wire-free indoor security camera has an HD resolution of 1920x1080P for you to clearly see the video captured and it is night vision supported with built-in 6 infrared lights with 120° view angle that allows you to clearly see images even at night. With Microshare App you can watch videos from your iOS and Android phones and can share up to 4 visitors. 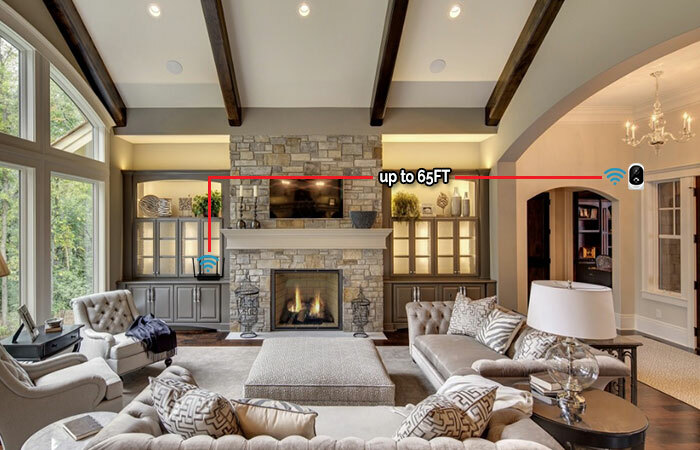 Strong Wireless Transmission with wireless range up to 65ft or 20m. 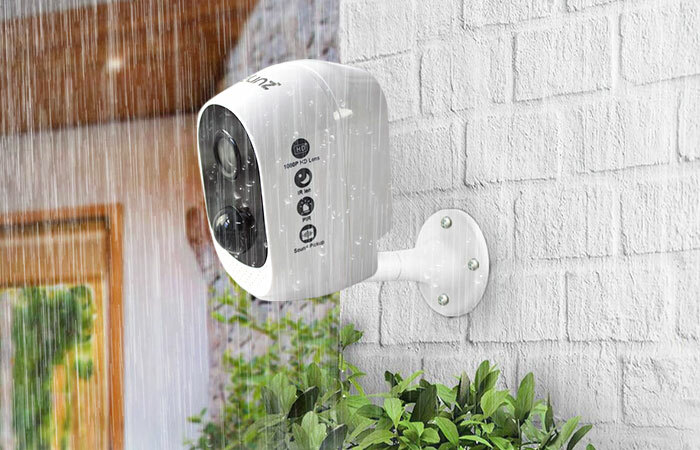 You can install this wire-free security camera outdoors/indoors, and offers no limited placement, such as front door, backyard, garage security and more with its IP66 weatherproof IP rating. Plus PIR Motion Detection wherein human motion will trigger PIR sensor to send alert to phone app and record to SD card or Cloud Storage, playback videos from phone app wherever you are. Immediately know when motion is detected at your home or office and watch live. 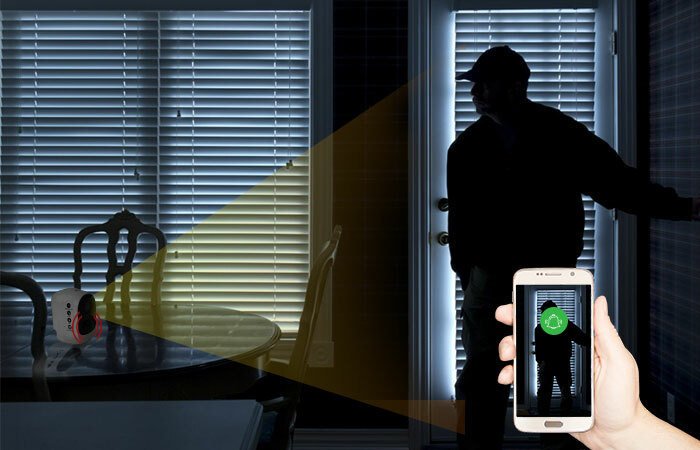 Effectively avoid false alarms comparing to traditional motion detection. 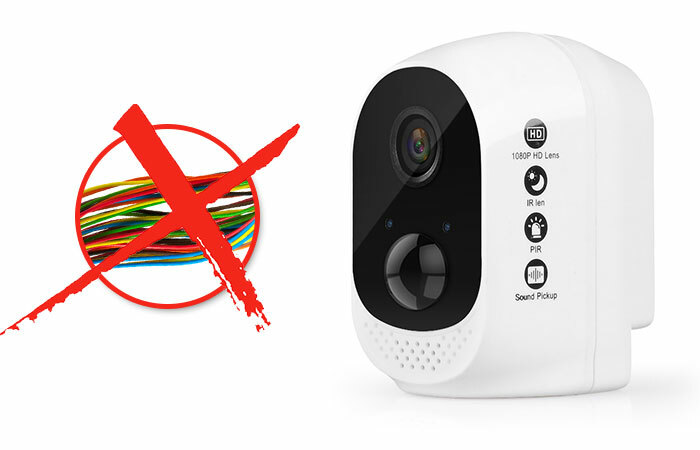 You can install this wire-free security camera outdoors/indoors, and offers no limited place such as front door, backyard, garage security and more. 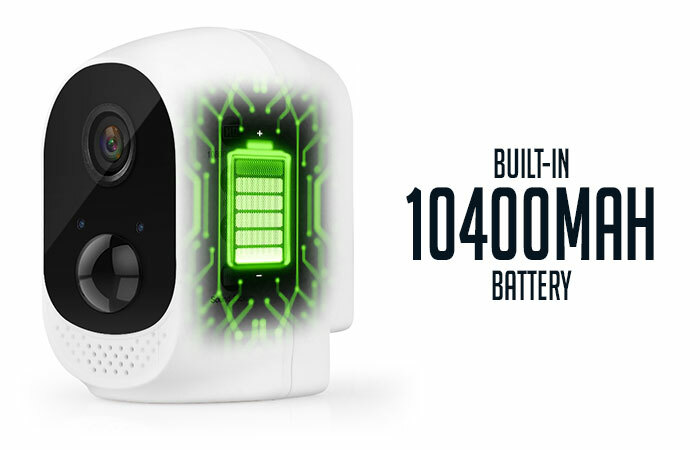 When it's not enough to just see what is going on, this WIFI camera allows you to be there with built-in microphone and speaker. 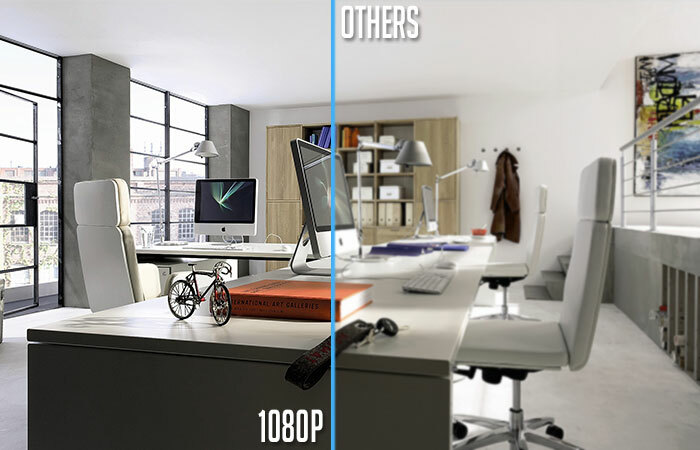 This IP camera supports use of Microshare app that supports remove viewing for you and your family.